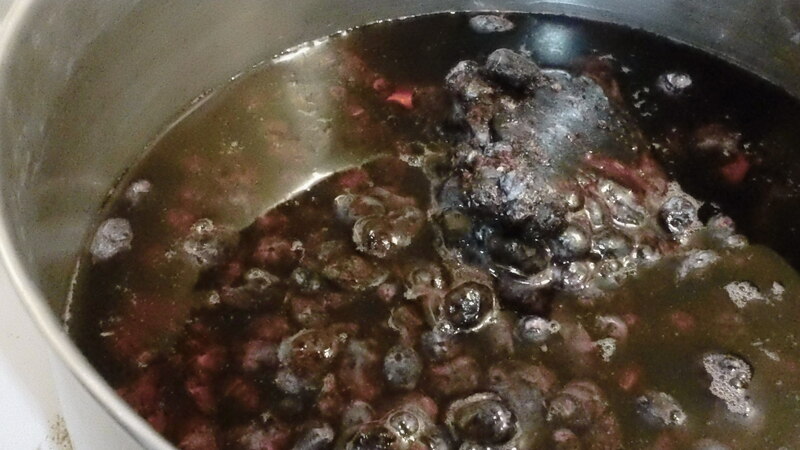 To dye fabric directly using fresh haskap berries place enough berries in a pot to cover the skein you will die. Add soft water to almost cover the berries. Bring to a low boil, then reduce and simmer for 1/2 hour. Repeatedly crush and stir. 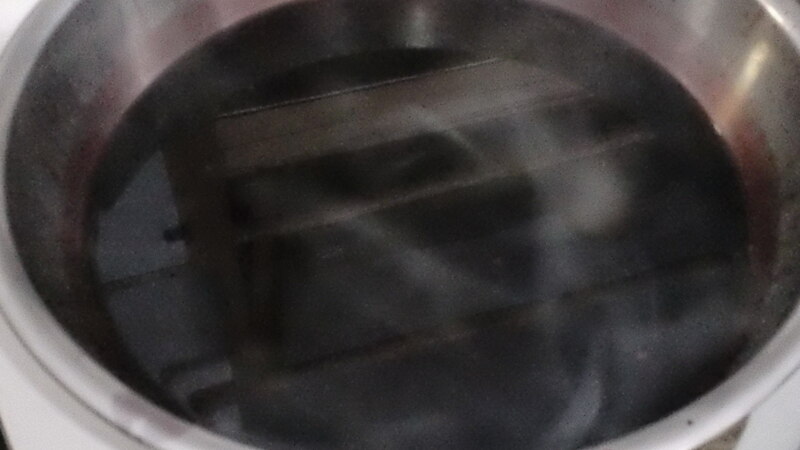 Strain through a fine sieve. Use straight or after mordanting.